Mixed-use development in senior living is on the rise, and the creative thinkers are winning. Whether including senior living or not, a common template for residential mixed-use is a single building with public retail, dining or both on the building’s ground floor, and apartments and condos above. This model is popular in senior living, too. 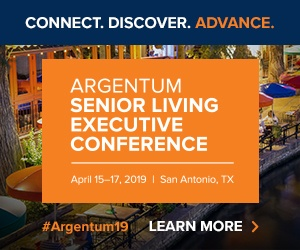 But a new report from Senior Housing News shows the creative ways senior living providers are delivering the value inherent in mixed-use, while thinking outside the box to create new avenues for care delivery and business success. Here is a look at four recent examples of creative mixed-use senior living. Reason for mixed-use: When Houston-based senior housing owner and operator Belmont Village Senior Living prepared to open a $55 million mixed-use assisted living and memory care tower in Mexico City, Belmont Village CEO Patricia Will saw a very small piece of acreage with room to build up, not out. The mixed-use approach made sense due to the city’s population and land density. “It made sense if you can conquer that [density] problem to put more than one use on the land,” Will says. The Mexico City investors found the land. Belmont Village took over after that. Will and her team created Belmont Village Santa Fe (BVSF), which is mixed-use in two ways. First, in its own building it offers retail and restaurants on the ground floor, 11 stories of senior housing, an eight-story Hyatt Hotel above the senior housing and underground parking. All of this sits on just an acre and a half of land. Second, across the street from BVSF is ABC Medical Center — the top hospital in Mexico City — along with a medical school. While the hospital system does not own nor control the land, they were consulted about what they felt the development most needed. The connection between the hospital’s needs and that of the development are physical too: the Hyatt and the hospital are connected via skybridge. The hospital serves the senior housing and vice-versa, while the Hyatt gives family members of the senior housing a place to stay while visiting. Reason for mixed-use: When the business model for the Henry Ford Health System’s Cottage Hospital became untenable, American House was there to help. The hospital, located about 10 miles northeast of Detroit, was shifting from an inpatient care model to more outpatient care. This left the hospital with significant operational losses — they had too many beds. They reached out to nearby American House to find a solution. The two entities partnered up: American House purchased two floors in the hospital in a condominium arrangement and converted one floor to assisted living and the other to memory care. The condominium structure is American House’s preferred arrangement for mixed-use. Watchowski is not just CEO of American House, but also CEO, COO and president of commercial real estate developer REDICO. While some senior housing providers get tripped up by the other uses in mixed-use, Watchowski does not. Reason for mixed-use: As chairman and CEO of Bellevue, Washington-based senior living provider Aegis Living, Dwyane Clark created Aegis Gardens of Newcastle to serve a Chinese community that totals nearly 600,000 people in Seattle and the nearby cities of Portland, Oregon, and Vancouver, British Columbia. The community, which opened in February of 2018, is a five-story mixed-use building covering 128,521 square feet. Clark developed the project with a goal of creating an intergenerational community of health care, culture and education. To that end, along with its more traditional dining, tea room and spa offerings, Aegis Gardens includes a cultural center and lecture area, with a preschool slated to open in September. While the on-site dining, including one of a chain of nonprofit cafes called Queen Bee, gives Aegis a traditional mixed-use feel, its primary mixed-use mission is cultural. The lecture area focuses on topics such as Chinese medicine, longevity, Tai Chi and financial planning. Unlike many other vertical mixed-use communities, Aegis Gardens of Newcastle is not in an urban center, and wasn’t built with intense land constraints. It was designed exclusively based on Clark’s desires and instincts for what care should be. He adds elements when he sees that they are “programmatically accretive” to the lives of residents. Reason for mixed-use: In October of 2015, the Independence branch of the Chicago Public Library was destroyed in a four-alarm fire. This was a devastating loss for its community — despite floating from location to location, the library had been part of the Chicago Public Library system since 1914. When community activists began a movement for a new, permanent library, the mayor’s office, library system and Chicago Housing Authority teamed up to combine a new public library with affordable senior housing. Chicago is opening three such projects, with the libraries open for business at the end of 2018 and the housing available in early 2019. The project at Independence is a single structure with 44 units of affordable, independent living, 30 of which include a rent subsidy. The library and housing are financed together, with the senior living making the project more attractive to the city. Evergreen will be the building owner and property manager for the independent living, with the library as a tenant. Click here to access the complete report, which takes a deep dive into the three templates for mixed-use senior living, and reveals how senior housing leaders are combining new models for care with new boosts to the bottom line.